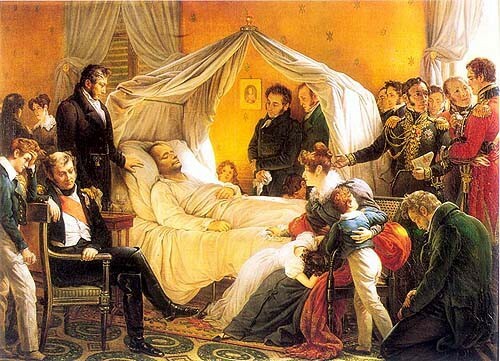 Napoleon Bonaparte died at 5.49pm on 5 May 1821, at Longwood on the island of Saint Helena. An autopsy was carried out on 6 May; a preliminary cast for a death mask was taken on 7 May; and on 9 May the Emperor was buried, in the presence of French and English witnesses. Yet since the nineteenth century, mystery and myths have shrouded Napoleon’s death, and the events and people that surrounded it. This dossier reunites a wealth of new and exciting information, as well as key texts about and commentaries on Napoleon’s death, burial and death masks.